For the third consecutive year, the Port of New Orleans set a 2013 record for the number of cruise passengers that boarded cruise ships in the Crescent City. The city’s cruise terminals handled 987,860 embarkations and disembarkations in 2013, up more than 1 percent over 2012, which saw a 32 percent gain over 2011. A study commissioned by the Port of New Orleans last year found that more than 80 percent of cruise passengers were from outside Louisiana and that 60 percent of them spent an average of two nights in New Orleans before or after their cruise. In addition, passengers and shipboard crew spent $78.4 million in New Orleans on lodging, food and beverage. New Orleans now ranks as the sixth largest cruise port in the U.S., up from ninth in 2011, according to the Cruise Lines International Association. Several cruise lines also based newer, larger ships in New Orleans. In November, the 3,006-passenger Carnival Sunshine replaced the slightly smaller Carnival Conquest after undergoing a $155 million renovation. 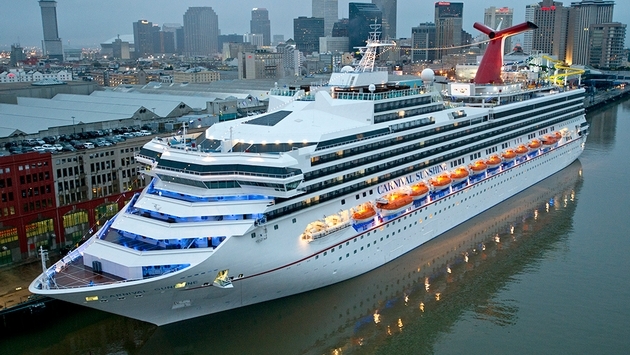 It sails seven-day Eastern and Western Caribbean cruises from New Orleans through April, when it will be replaced by the 3,646-passenger Carnival Dream. The 2,052-passenger Carnival Elation continues to sail year-round four- and five-day itineraries from New Orleans. 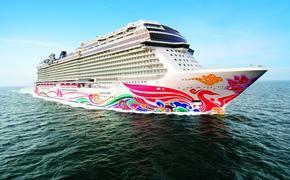 In October, the 2,376-passenger Norwegian Jewel replaced the 2,348-passenger Norwegian Star on the seasonal seven-day cruises from the Julia Street Cruise Terminal through April. In December, Royal Caribbean International replaced the Navigator of the Seas with the newly renovated 2,476-passenger Serenade of the Seas, also sailing weekly through April. In addition, American Cruise Lines sails its sternwheeler Queen of the Mississippi and American Queen Steamboat Co. operates the American Queen from New Orleans. Blount Small Ship Adventures sails inland itineraries aboard the Grand Caribe and Travel Dynamics International sails its Yorktown coastal ship from New Orleans.